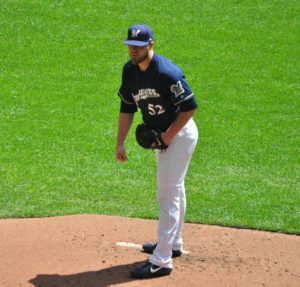 The Milwaukee Brewers bullpen has been leaking water. That leak got bigger on Sunday as the Brewers dropped their second straight to the Arizona Diamondbacks, 11-1 at Chase Field. 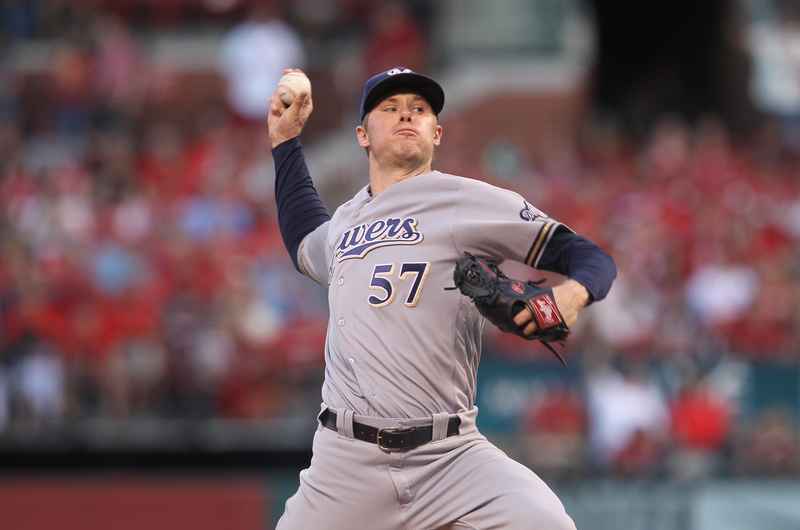 Chase Anderson allowed just one run on four hits in six innings of work, striking out eight for the Brewers. The bullpen coughed up 10 runs in three innings as the Diamondbacks broke the game open. Carlos Torres and Neftali Feliz gave up three homers and five runs in the seventh. Rob Scahill and Wily Peralta then combined to allow five more runs in the eighth, including a grand slam by Paul Goldschmidt off of Scahill. Torres has now allowed 16 hits in his last 6 1/3 innings, including four home runs with a 14.22 ERA over that period. Feliz saw his ERA jump to 5.88 with seven homers allowed in 26 innings. 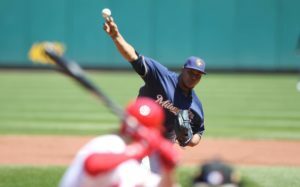 The first two games of the series between the Milwaukee Brewers and Boston Red Sox at Miller Park were filled with offense. Thursday afternoon’s series finale was just the opposite. The Red Sox broke a 1-1 tie in the ninth inning when Mookie Betts clubbed a three-run home run off of Brewers closer Neftali Feliz to pull out a 4-1 win. The Red Sox pulled out the final game of the series after losing the first two games. Brewers starter Jimmy Nelson struck out a season-high-tying eight over 6 2/3 innings and Corey Knebel followed him with 1 1/3 innings of solid relief before Feliz got into trouble in the 9th. It had been nearly three years since the Milwaukee Brewers won a series over the rival Cardinals, but a major league milestone helped end that streak. 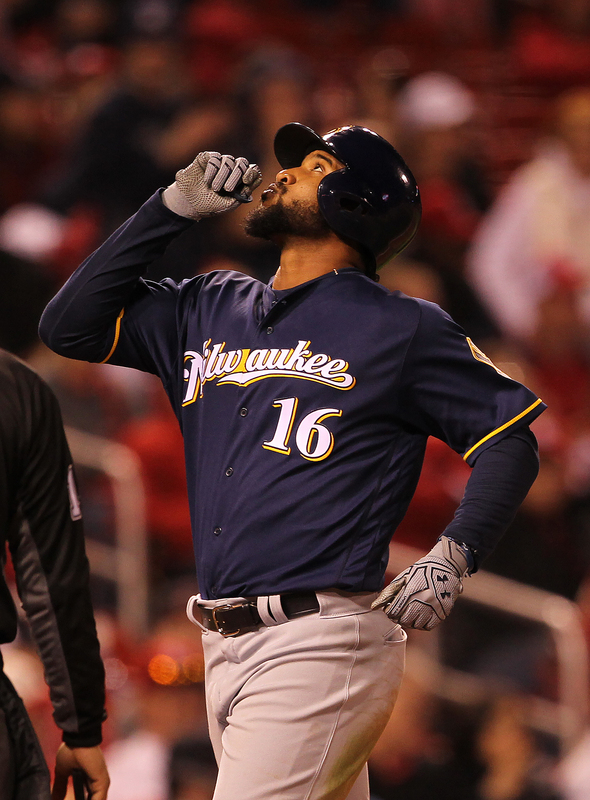 Jesus Aguilar broke a tie game in the seventh inning with a solo home run to give the Brewers a 5-4 win Thursday night in St. Louis. Aguilar’s homer was the first of his career, and happened in his 100th career at-bat. Keon Broxton had carried the Brewers offense to that point, driving in two runs on 4-of-5 hitting with a home run in the fifth inning off Cardinals starter Adam Wainwright. Broxton finished a triple shy of hitting for the cycle. As it is, the Milwaukee Brewers finished their nine-game road trip with a 6-3 record, but it could have been better. The Brewers got early home runs from Travis Shaw and Jett Bandy and jumped out to a 3-0 lead over Chicago. But the Cubs came back to win 7-4. The Milwaukee Brewers pushed their record to 6-1 on their current nine-game road trip, knocking off the Chicago Cubs 6-3 on Monday night at Wrigley Field. Ryan Braun, Jett Bandy and Eric Thames all homered for the Brewers in the win. Thames went 3 for 4 and has now homered six times in his last five games, to move into a tie for the major league lead with seven for the season. As a team, the Brewers have hit a big league leading 25. Ryan Braun clubbed a two run homer in the first inning, driving in Thames who had doubled. Jett Bandy led off the second with his second homer of the season. The Milwaukee Brewers got off to a good start and beat the Toronto Blue Jays 4-3 before 48,456 fans in Toronto’s home opener at the Rogers Centre. It was the sixth consecutive home opening loss for the Blue Jays, who are tied with Philadelphia for the longest active streak. The Brewers and Blue Jays hadn’t played in Toronto since July 2, 2014, with Wily Peralta and J.A. Happ starting for their respective teams. That turned out to be the same matchup last night. The Brewers scored two runs in the first inning on Keon Broxton’s first home run of the season. Travis Shaw tripled to center and Domingo Santana added an RBI single. Troy Tulowitzki had a pair of run-scoring doubles for the Blue Jays, but Wily Peralta held Toronto in check for six innings to earn his second win of the season. 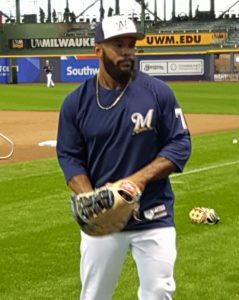 Domingo Santana also clubbed his second home run of the season in the fifth inning to give the Brewers their fourth run, the eventual game winner. Neftali Feliz pitched a 1-2-3 ninth inning to record his second save of the season. Chase Anderson pitches the series finale for the Brewers tonight. The Milwaukee Brewers have reached a deal with free agent right-handed reliever Neftali Feliz on Thursday. The one-year deal is worth a reported $5.35 million and includes additional incentives. Feliz had Tommy John surgery back in 2012 and missed time late last season with arm fatigue. The Brewers had been searching for late-inning relief help after trading closer Tyler Thornburg to Boston at the Winter Meetings in December. Thornburg took over the closer duties when Jeremy Jeffress was traded to Texas on August 1st and lefty Will Smith was traded to San Francisco. Feliz compiled 40 saves with the Texas Rangers in 2010 at the age of 22 and captured American League Rookie of the Year honors. Feliz spent 2016 with the Pittsburgh Pirates where he went 4-2 with a 3.52 ERA and 2 saves in 62 relief appearances. The 28-year-old owns a career record of 19-14 with a 3.22 ERA and 99 saves in 308 games during his Major League career with Texas (1009-15), Detroit (2015) and Pittsburgh (2016).